Give your holiday cheer an extra boost by joining brothers David & Kieran Munnelly for an evening of Irish merrymaking at its best! This joyful performance features instrumental and vocal music-making from top Irish traditional musicians—and brothers—David, a wizard on the button accordion, and flute and bodhran artist Kieran. 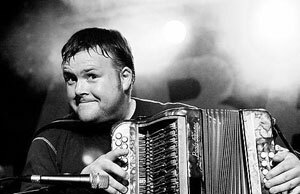 Born and raised in Co. Mayo, David is considered the most exciting young button accordionist to have emerged from Ireland in generations. He was the accordion player for The Chieftains from the age of 21 to 25, as well as touring with legendary artists De Danaan before forming his own band in 2002. David has won Composer of the Year awards for his television soundtrack work, and won Best Traditional Artist 2005 and Concert of the Year 2006 from the Irish American News. His latest release is Tight Squeez, LiveIreland.com's Vocal/Instrumental Album of the Year for 2010. Kieran has been playing music since the age of seven. 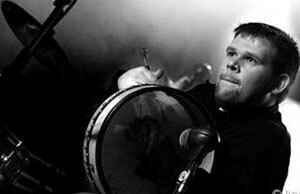 His multi-dimensional flute playing and astounding bodhrán work won him Musician of the Year 2010 from LiveIreland.com. He has worked with some of Ireland's finest musicians, including Matt Molloy, Martin O' Connor, Kieran Goss, and Francis Black, as well as touring extensively throughout the U.S. and Europe with The David Munnelly Band. David will be teaching a Button Accordion workshop, and Kieran an Irish Flute workshop on Saturday, December 18, 1:00-3:00 pm.